We want to give you the time to relax and unwind, enjoy your treatment and the feeling of well being that comes from our comfortable surroundings. To achieve maximum benefit from your visit we recommend you allow enough time for your treatment by arriving five minutes before your appointment. Following facial and massage therapies, we highly recommend you drink plenty of water and allow a few moments after your treatment to gather your thoughts. Gentlemen who are sponsored by an existing female client are welcome. Please have any waxing 24 hours prior to any body or tanning treatment. It is not advisable to drink alcohol prior to any facial or massage therapy. It is highly recommended that you wear loose, dark clothing after a tan application. Underwear can be worn during a treatment and our therapists are trained to drape towels discreetly over your body during treatment. For client comfort, mobile phones must be switched to silent in the salon. Please take care of your belongings since we cannot accept liability for their loss or damage. We accept all major credit cards (except Amex). A deposit may be required at the time of booking for appointments over an hour. We are always interested in client feedback to ensure exemplary quality of service. If you have any thoughts about the type of treatments you would like to see available, our customer service, or anything else regarding your Spirit experience please do let us know. 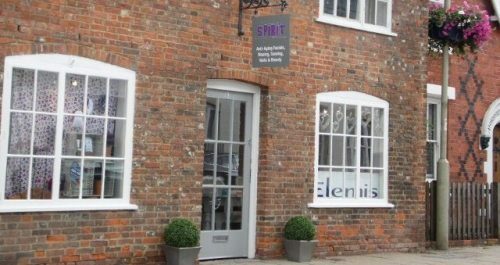 You can email us at: info@spiritboutiquespa.co.uk or if you prefer please write to Laura Edwards or Emma Tilley, Spirit, 19 Normandy Street, Alton GU34 1DD. If you would like us to call you to discuss your comments please provide a contact telephone number, many thanks.